In patients suffering with Osteoarthritis of knee joints the cartilage lining and protecting the ends of bones gradually wears off, reduction in quantity of joint fluid (Synovial fluid), and bone ends rub against each other – all of which can cause the pain. The usual complaints are pain, stiffness, grinding sensation, swelling in and around the knee. Sometimes there is difficulty in walking for short distances and locking symptoms. Osteoarthritis of knee can be graded / staged based amount of damage to cartilage lining. An X- ray can be useful in staging osteoarthritis of knee. It’s not only the grade but level of pain had to considered before starting a treatment. 1.They replace some of the normal ingredients found in the synovial fluid improving the lubricating ability. 2.They help to stimulate the joint lining (the synovium) manufacture more normal synovial fluid. 3.The Hyaluronic acid coats the lining of damaged joint surfaces, covering pain nerve endings. This reduces pain and protects the joint surfaces from joint inflammation. How is Hyaluronic acid given? It comes as a single injection as sterile pack from the manufactures. It is administered by intrarticluar route (directly into the knee joint). It’s a simple out- patient procedure that only takes a few minutes. You can continue with day to day normal activities after the injection. Try to avoid strenuous activities for about 48 hours. -It is done in outpatient department in clean dressing room or sometimes in minor operation theater. -Doctor prepares the knee by cleaning it with Iodine solution. -Sometimes doctor may aspirate excess fluid inside the joint. -You can walk out immediately after the procedure. 1. What you can expect following a hyaluronic acid injection? Hyaluronic acid can provide pain relief upto nine months to two years. 2. Will the injection be painful? 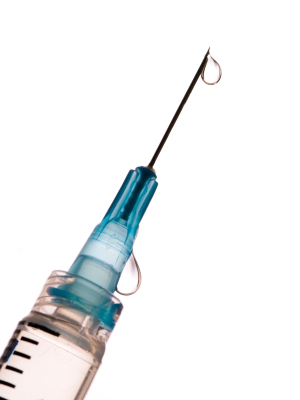 Since the injection is given through small needle and directly into the joint there wouldn’t be severe pain. Sometimes doctor can give local anaesthesia to numb the area before giving injection. You may feel mild pain and swelling of knee after injection which is normal. Place an icepack on your knee for 10 min at regular intervals. 3. What happens after the injection? Return to normal day to day activities. Avoid strenuous activities such as jogging lifting weights for first 48 hours. The intensity of osteoarthritic pain comes down and pain relief varies from patient to patient. 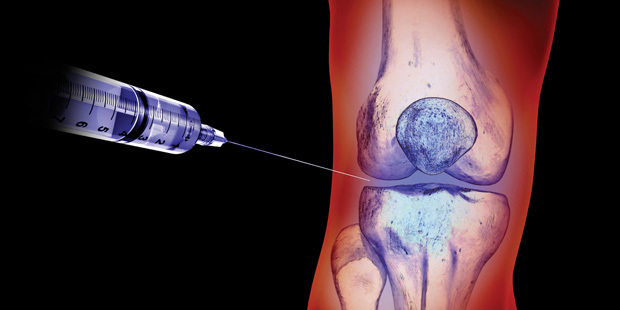 The benefits of injection can last for 9 months to 2 years depending on stage of osteoarthritis, vary with patients. These injections can be repeated safely. 4.What are the side effects of injection? Allergic reactions, Pain, swelling, stiffness. There are chances of getting knee joint infection in rare cases.